The Kent Bat Group has been working to help protect the county's bats and learn more about them since 1983. Fourteen of Britain's 18 resident bat species have since been recorded in Kent. A single greater mouse-eared bat was found in 1985. Alcathoe bat was found in 2010, the year the species was first recognised as a UK resident; several individuals were also recorded in 2016. In 2016 two Nathusius' pipistrelles which had been ringed in Lithuania were trapped in Kent. In Kent, as elsewhere, the most abundant bats are the common and the soprano pipistrelles. They look very alike, and both can be seen hunting for insects in gardens and along hedgerows just after sunset, flying with rapid twists and turns. In summer, pipistrelles sometimes roost behind hanging tiles or barge boards on the outside of houses. 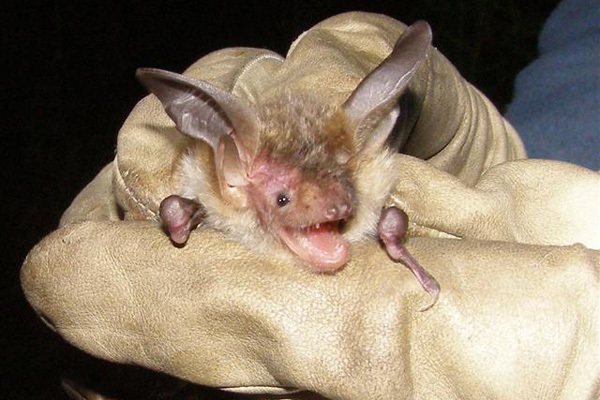 The brown long-eared bat is widespread in Kent but is seen less often than the pipistrelles. It usually lives in or near woodland and hunts near trees and hedgerows, sometimes flying slowly or hovering to take insects from leaves or grass. 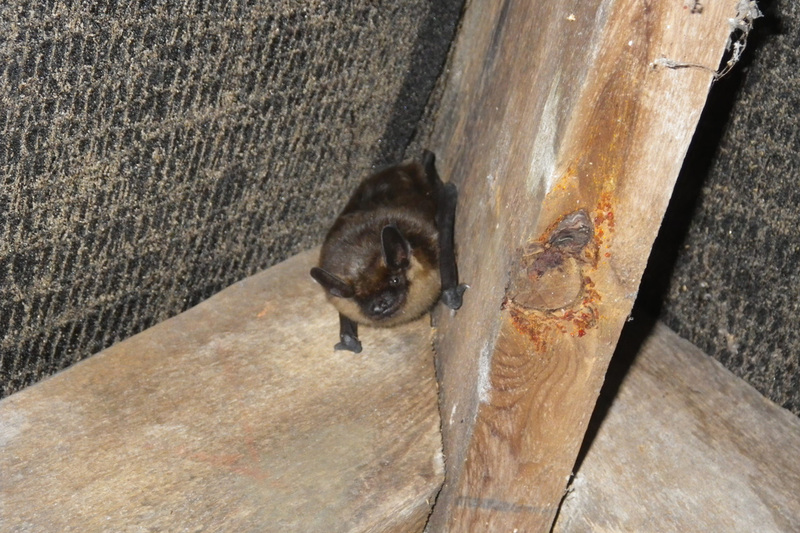 These bats prefer to roost in old houses with high timbered lofts, emerging after dark. 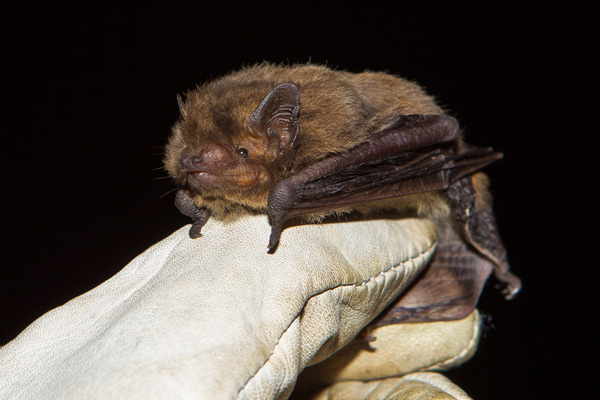 Few Brandt's bats have been found in Kent, but in the Bechstein's survey a number of whiskered bats were recorded. Both emerge after nightfall and fly in woodland making observation difficult. Daubenton's bat and Natterer's bat also fly late in the evening. The former usually hunts insects over water, flying rapidly just above the surface of lakes and streams. Although regularly found hibernating underground, few summer roosts of either species have been discovered in Kent. 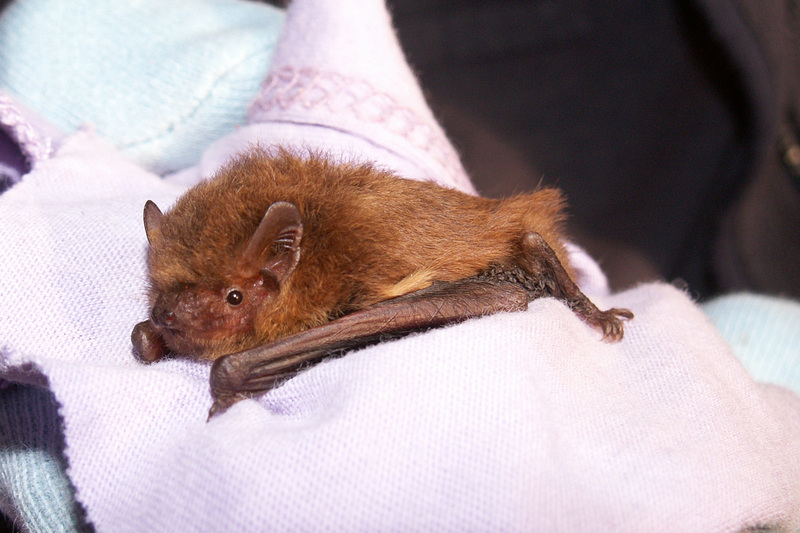 Bechstein's bat, one of the UK's rarest mammals, was first found in Kent, hibernating, in 2001. A lactating female was recorded in 2009, and subsequently a maternity roost was discovered in 2012. The much larger serotine bat favours downland areas and grassy meadows, flying low to catch its prey. All known roosts in Kent are in buildings. The noctule, another large bat, flies high and fast over trees, pasture and marshy places. It is almost entirely dependent on trees for roosting. The decline of both these species gives cause for concern and may be linked with a loss of grazing pasture. There are a number of records of the Leisler's bat, one of England's rarer species. A close relative of the larger noctule, it flies fast, sometimes high with shallow dives, but frequently below tree-top level. Female bats gather in maternity colonies in early summer. After giving birth in June or early July, they suckle their single young for several weeks. At this time some may roost in houses, but they do not build nests or cause damage. They normally leave in late summer, when the young can fly and hunt for food. All British bats eat insects. As these are scarce in winter, bats seek somewhere cool and undisturbed to hibernate. In Kent they have been found using places like chalk caves, deneholes, ice houses and disused buildings. Although small numbers hang free they usually squeeze into cracks and crevices. The bat group has been involved in protection and improvement of a number of such sites. 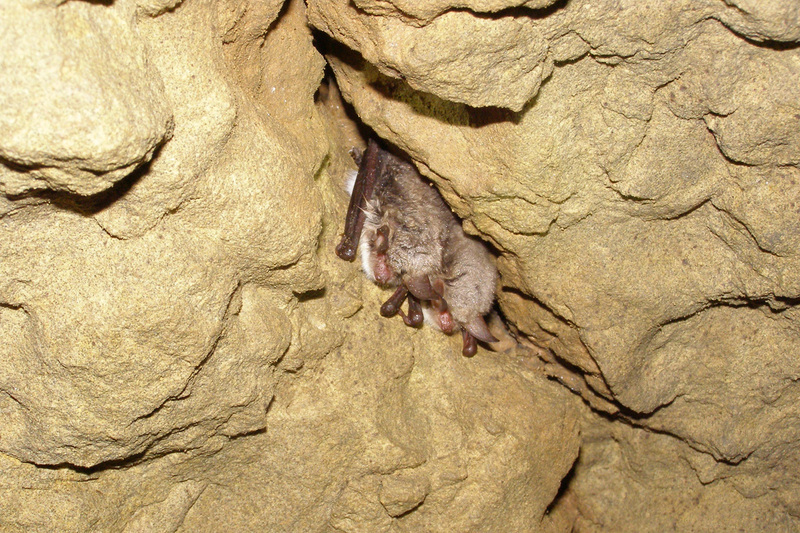 The most important hibernation site known in Kent is Westerham Mines, where six species of bat are known to hibernate. This disused ragstone mine is managed as a bat reserve by the Kent Wildlife Trust. All four entrances have been grilled to reduce disturbance to hibernating bats. Bat numbers are declining, due mainly to the loss of roosts and feeding areas and the increased use of pesticides. Kent is probably under greater pressure for change to the environment than anywhere else in Britain. 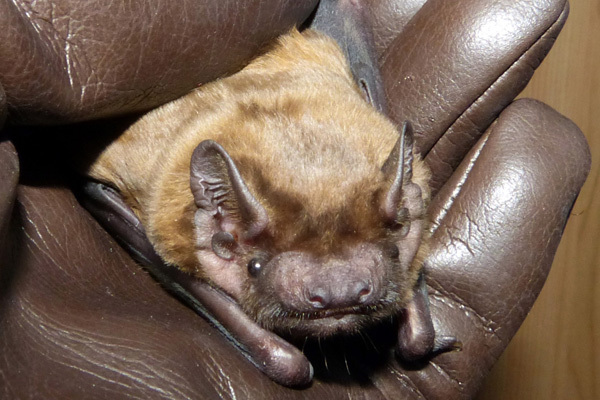 The Kent Bat Group works to protect and conserve bats in Kent. This includes protection or improvement of their roosts and feeding areas. The Group is proactive in promoting awareness of bats to the general public and to specialist groups likely to come across bats in their work. We need more information to give a better picture of bats in Kent, so please contact us records@kentbatgroup.org.uk if you know of a roost in your neighbourhood, or you regularly see bats flying and feeding. All British bats and their roosts are protected by law. Anyone wishing to carry out work that might affect bats, including householders, should consult the Bat Conservation Trust's Helpline for advice. and Mammals of Kent Atlas 2001 - 2012.